Book at Murray Horwitz and Richard Maltby, Jr. Please prepare 16-24 bars of music in the style of the show, but DO NOT prepare any music from the show. Appointments are not required, but will attempt to honor. 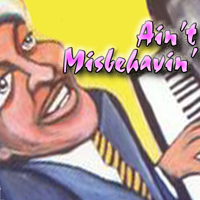 Ain't Misbehavin', named after the 1929 “Fats” Waller song, serves as a tribute to the black musicians of the 1920s and '30s who were part of the Harlem Renaissance, an era of growing creativity, cultural awareness, and ethnic pride. It was a time when Manhattan nightclubs like the Cotton Club and the Savoy Ballroom were the playgrounds of high society and Lenox Avenue dives were filled with piano players banging out the new beat known as swing. The evening is an event of rowdy, raunchy and humorous songs that encapsulate the various moods of the era and reflect Waller's view of life as a journey meant for pleasure and play.